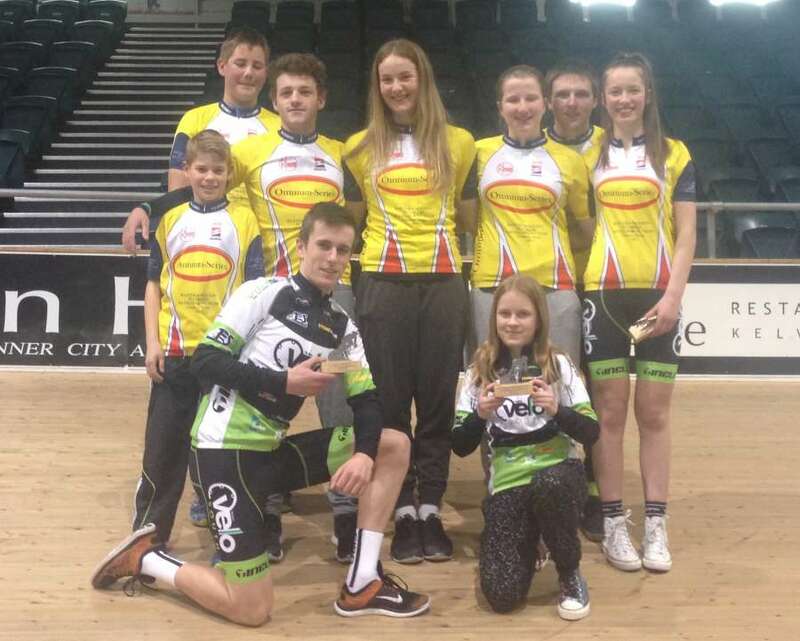 Launched in 2006 when the Velodrome opened, Ray and Trish Galt from Baxter & Neilson Plumbing Ltd established the Cycling Southlands Junior Division Omnium Points Series for the under 13, under 15 and under 17 grades, for both boys and girls. This eight-week race series was designed to provide encouragement and motivation for Junior Riders at the SIT Zero Fees Velodrome by way of a monthly, or two-weekly competition night culminating with an Awards Function at the completion of each year. The Galt’s regarded their sponsorship as not only as encouraging participants into competitive cycling but also as a way of identifying future Team Members for their representative U19 and U21 development squad, which they also founded and sponsored in the earlier years. The 2015 Junior Cycling event manager Gerald Paterson said there were 65 young riders across the age groups in this year’s series, which included under 19s, with some travelling from Wanaka and Dunedin to compete against Southland’s best juniors. “We couldn’t do it without such great support from the Galts and their business and this series is fundamental in developing our junior riders racing skills from beginner to advanced level, “ Paterson said. Friday night was round four of eight rounds and after a very steady group of winners and leaders in the first week’s many new winners were noted in tight race finishes. It was free to head along and watch the racing at the velodrome during the remaining race nights, which are held on Friday 18 September, Saturday 31 October, and Fridays 13 and 27 November. All Fridays are 6-9pm and the October times are 5-8pm. The Round 4 winners were: U13 Girls Jody Syme, U13 Boys Cody Harvey, U15 Girls Emily Paterson, U15 Boys Josh Miller, U17 Girls Ellesse Andrews, U17 Boys Kain Bowles, U19 Boys Hamish Beadle. The series leaders are: U13 Girls Rhylee Akeroyd, U13 Boys Quinn Naylor, U15 Girls Emily Paterson, U15 Boys Hunter Gough, U17 Girls Madeleine Gough, U17 Boys Kain Bowles, U19 Girls Ella Harris, U19 Boys Tom Sexton. Photo caption: Baxter & Neilson Junior Race Series round four winners, from back left, Josh Miller (under 15), Kain Bowles (under 17); middle from left, Quinn Naylor (under 13), Hamish Beadle (under 19), Ellesse Andrews (under 17), Jody Syme (under13), Emily Paterson (under 15); front from left, Tom Sexton (under 19), Rhylee Akeroyd (under 13).